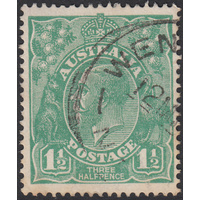 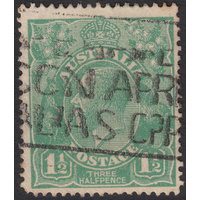 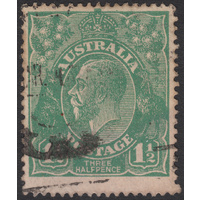 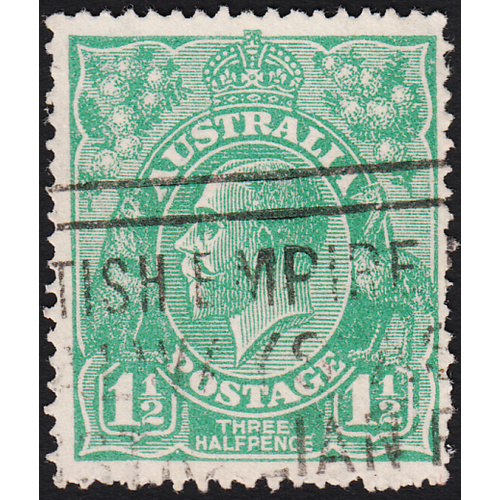 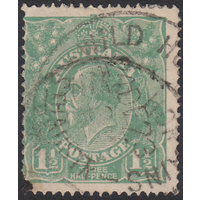 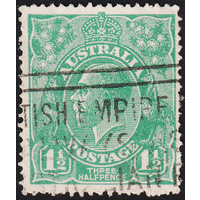 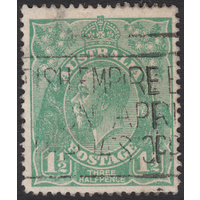 Australia KGV 1924, 1&/2d Green, Single Waermark, variety 16R24, (Flaw at tip of King's moustache, spot in King's head above ear, diagonal scratch across Emu's tail) in Good Used condition with no faults. 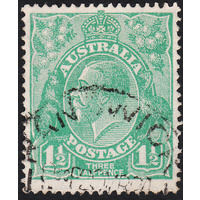 Reasonably centered with some "fluffy" perforations and a machine cancellation clear of all of the indicators. Thie first indicator is barely noticeable, suggesting this is an early stage in the development of this flaw. 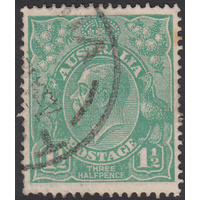 The other two indicators are present and definitive. 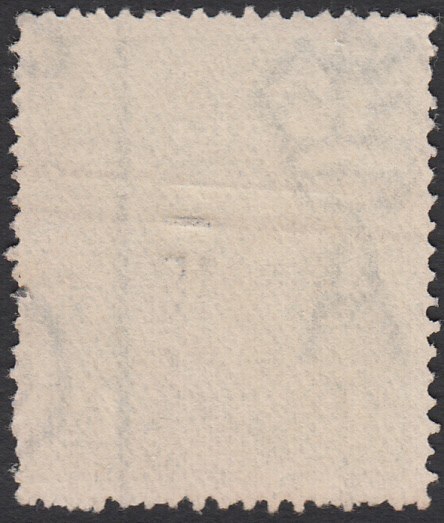 Right marginal watermark line present. 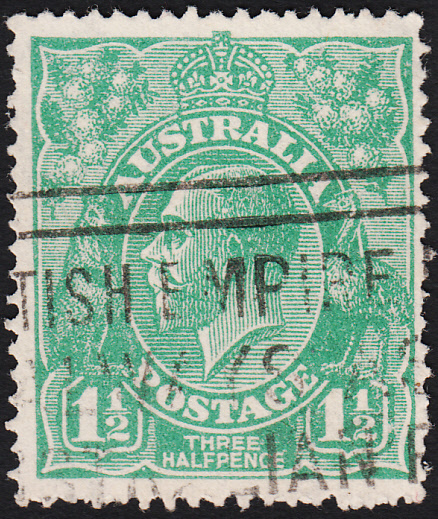 A very useful example!